LONG BEACH — For more than 25 years, Bob Salamon has been running Fisherman’s Hardware on the corner of Temple Avenue and East Anaheim Street. But for more than 60 years, anglers have been visiting that same street corner to get geared up for all things fishing — from local lake trips to long-range offshore sport angling adventures. Aside from the Long Beach landings, Fisherman’s Hardware is the last bait and tackle retail store in the Long Beach area — and its planned Dec. 1 closing will mark the end of an era. “I think it was the fish and tackle store of its day, and it accommodated anglers with everything they needed for their fishing trips,” Salamon said. Fisherman’s Hardware, with its vintage wood floors and high ceilings, shares a wall with the famous 1924-established Joe Jost’s bar and billiards hall. Salamon believes today’s youths are spending more time there, instead of fishing — along with surfing. Salamon, who owns Sav-On Tackle in Santa Fe Springs, will continue selling fishing gear at that location, after Fisherman’s Hardware closes. “I want to thank the many Fisherman’s Hardware customers for their patronage over the years,” Salamon said. Before the store closes, Fisherman’s Hardware will hold a sale, offering big discounts on everything in the store up until Dec. 1. Salamon said fixtures and fish mounts from the store are for sale, as well. “Anybody who needs a shark or wahoo? I’ve got some nice ones on the wall,” Salamon said. 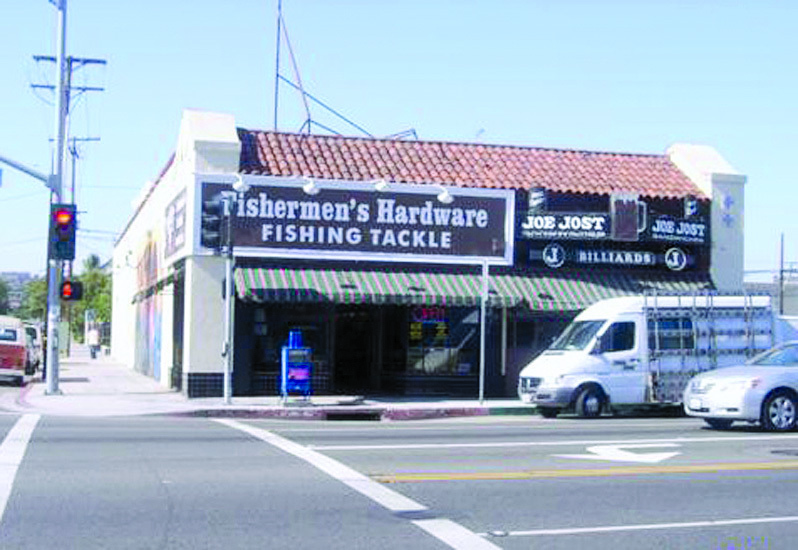 Fisherman’s Hardware is located at 2801 East Anaheim St., Long Beach. For more information, call (562) 434-8311.